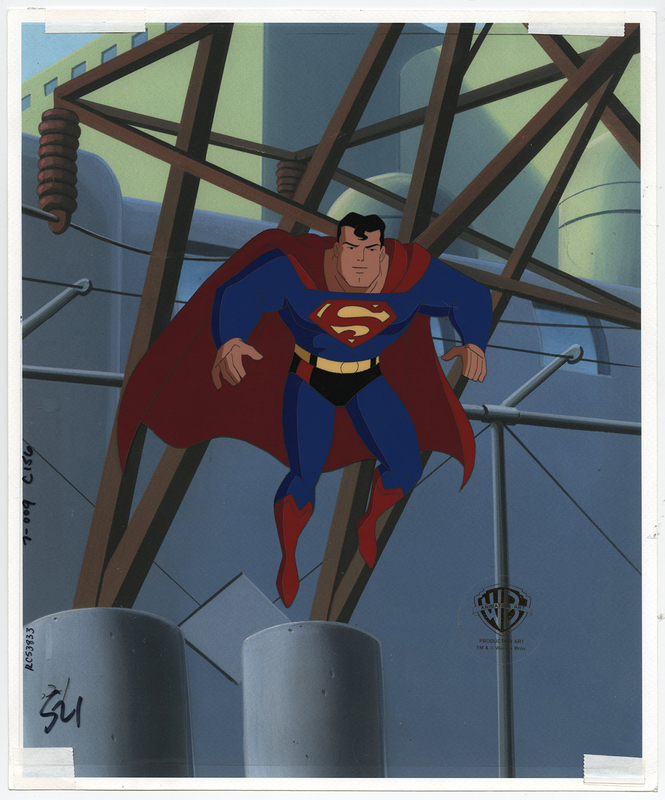 This is an original Production Cel from the Warner Bros. Studios production of the Superman the Animated Series episode, Stolen Memories . 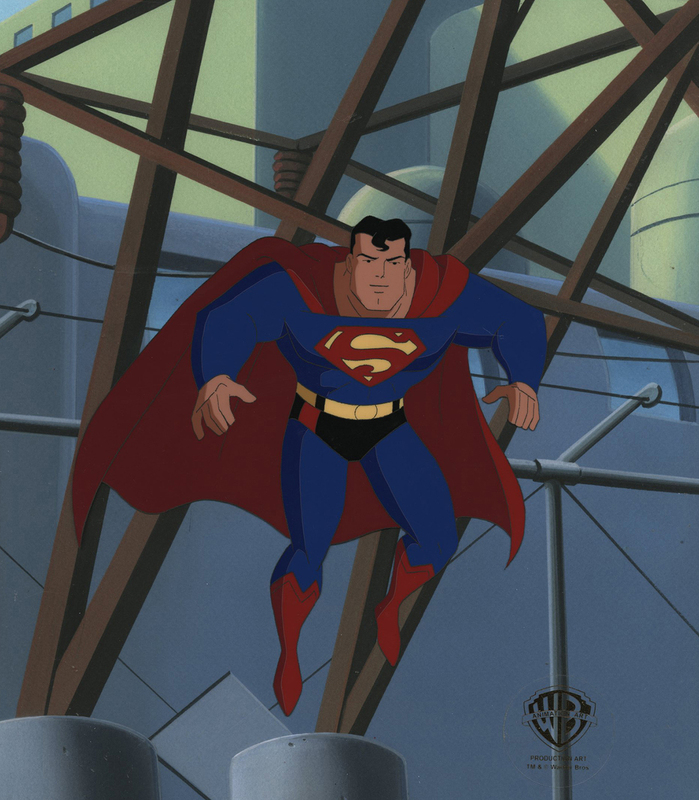 This Production Cel features Superman and was created at the studio and used during the production of the film. The overall measurements of the piece are 13" x 10.5" and the image itself measures 7" x 7".